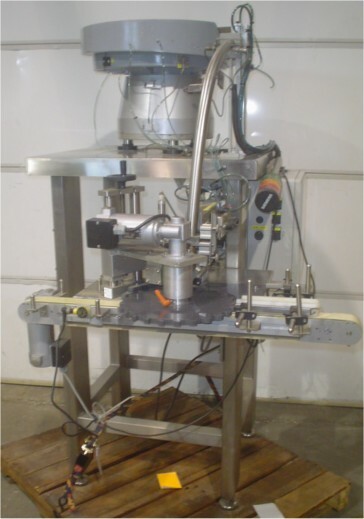 Used DL Tech Rotary Lipstick Inserter. Unit comes with a 35” Long x 2” Wide Rubber Belt and Vibratory Bowl that measures 22” Diameter. Overall Dimensions: 52” L x 44”W x 67” H. Electrics: 120Volts, air required. Delivery: Immediate.